I fall for fringe. There’s a reason why Karl Lagerfeld always peppers in fringe on the Chanel runways and Anna Wintour readies the September Issue sporting a fringe frock. In a sea of structured and finished jackets, fringe stands out and makes you feel fabulous. This fringe find I’m wearing is from Intermix (sold out online, but check stores). 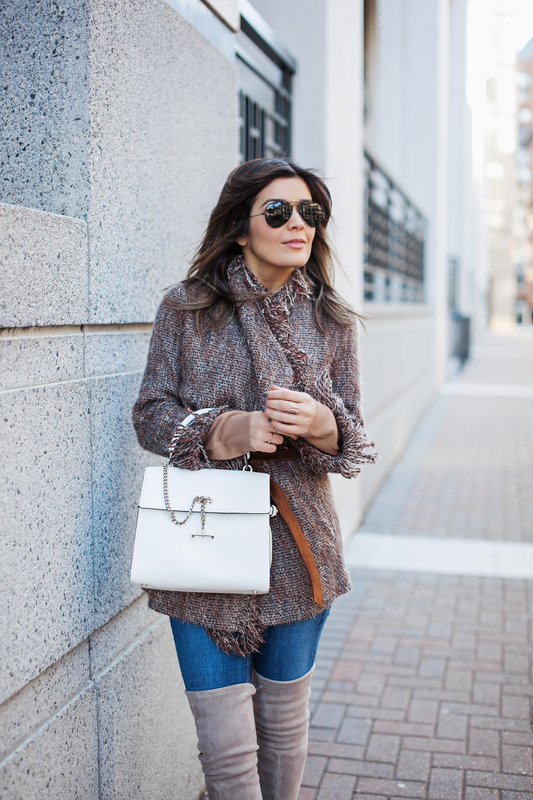 I paired the Intermix fringe jacket with my favorite over the knee Highland boot (also here) and winter white Luana handbag to finish the look. Hope you’re Monday is off to a great start!